The School of Applied Sciences (SAS) and its departments sprawl across all corners of the University of Mississippi’s campus. Although the school is relatively young, established in 2001, much of UM’s history can be found in the buildings and halls which house departments such as Social Work, Communication Sciences & Disorders, Legal Studies, Nutrition & Hospitality Management, and Health, Exercise Sciences, & Recreation Management. 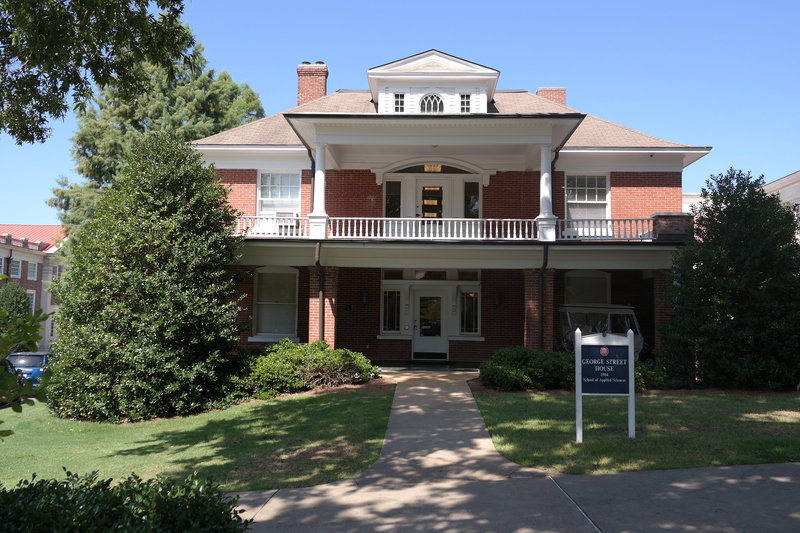 The names and titles of these structures chronicle an Oxford of the past, campus life from the 20th century, as well as historic alumni, donors, and chancellors who made an impact on Ole Miss. Beginning with the oldest structure and possibly the most historic, George Street House is the current office and hub for SAS. Since 2001, the house has hosted office space for the school’s deans and administration. However, the history of George Street House extends far before 2001. The house was built in 1910 as a residence for professor Thomas H. Somerville, the law school’s first dean. In 1931, the house became a panhellenic residence for eight sororities. It would later host the University Faculty Club in 1951, as well as office space for a number of departments–English, CSD, University Development, Honors College etc. The structure officially became the George Street University House in 1998, named after the beloved George Street who worked in a variety of positions in administration such as social affairs, development, and university relations for 39 years. Odom Hall has housed the Legal Studies Department since 2004. Built in 1920 alongside LaBaueve and Dupree halls, Odom Hall was used primarily as dormitories for over 60 male students. According to “Way Down South in Mississippi” by Sparky Reardon, former Dean of Students, Odom was known at one time to house “rebellious jazz musicians.” Ironically, Odom also became the central location for the University Police Department from 1968 to 2003 before Legal Studies occupied the hall. Of course, Legal Studies is the critical study of justice and society in areas such as law enforcement. Another dormitory built in 1920 was George Hall. At the time, the hall was “located on grounds not heretofore located on campus.” The hall received its namesake after General James Z. George, a colonel in the Civil War. 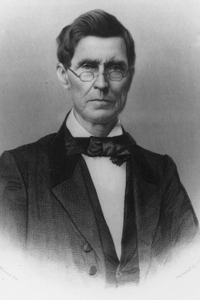 George would later represent Mississippi in the United States Senate. Known as the “Great Commoner,” George is remembered to have regularly chewed tobacco “and its traces could be seen on his chin and sometimes on his shirt front and vest” (Sansing). In 1973, the University remodeled and updated the building, allowing the Communication Sciences & Disorders Department to call George Hall home. 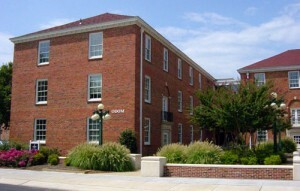 Lenoir Hall became the official home of Nutrition and Hospitality Management in 2003. 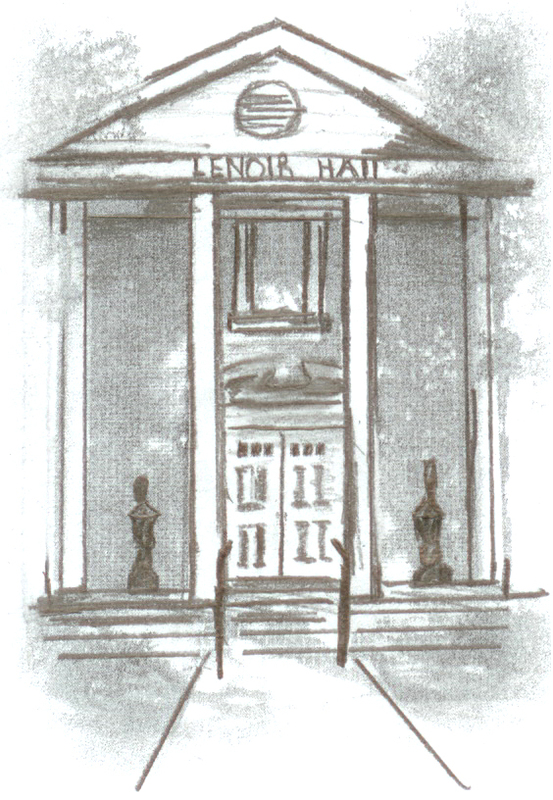 The building received its name after Lenoir Stanley, alumna of both the school and department. Lenoir and her husband provided a donation that allowed renovations to the structure. 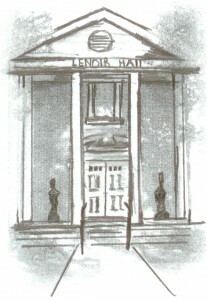 Before its renovations, Lenoir was originally a Zeta Tau Delta sorority house. The sorority disbanded in the 90s, and the university purchased the house in 2003. In 1983, the Turner Center was built on All American Drive, virtually at the center of campus. The youngest structure at Applied Sciences, the center was named after Thomas Turner, Ole Miss alumni and member of the IHL’s Board of Trustee. The center houses the Department of Health, Exercise Science, and Recreation Management, as well as the Intramural and Campus Recreation programs for faculty, staff, and students. 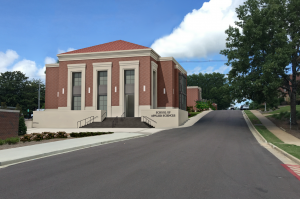 As for the future, the school and its administration hope to move into a new location by 2017. 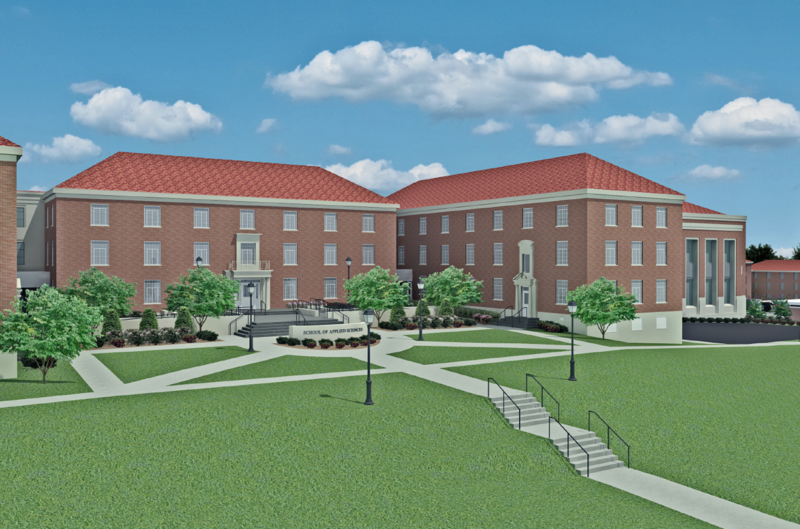 Renovation has already begun on the Garland, Mayes, and Hedleston Halls. All three structures were created as residence halls in 1938. Garland Hall was named after Landon Cabell Garland, chair of philosophy and astronomy at UM in 1875. He would later become the first chancellor of Vanderbilt. Hedleston received its namesake after philosophy and ethics professor Winn David Hedleston who served the university from 1910 to 1930 (also friend and mentor to William Faulkner [Blotner]). And Mayes Hall’s name comes from Edward L. Mayes, chairman of the UM faculty from 1886 to 1889. A Hinds County native, Mayes enrolled in the university after the Civil War, earning a law degree in 1869. He joined the faculty eight years later. Mayes would eventually become the sixth chancellor of the University, serving from 1889 to 1891. He was the first native Mississippian and UM alumnus to do so in the history of the university. 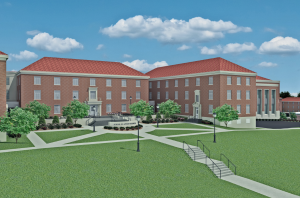 The School of Applied Sciences looks forward to a new future at the University of Mississippi, continuing tradition of excellence, and making new history for the future.